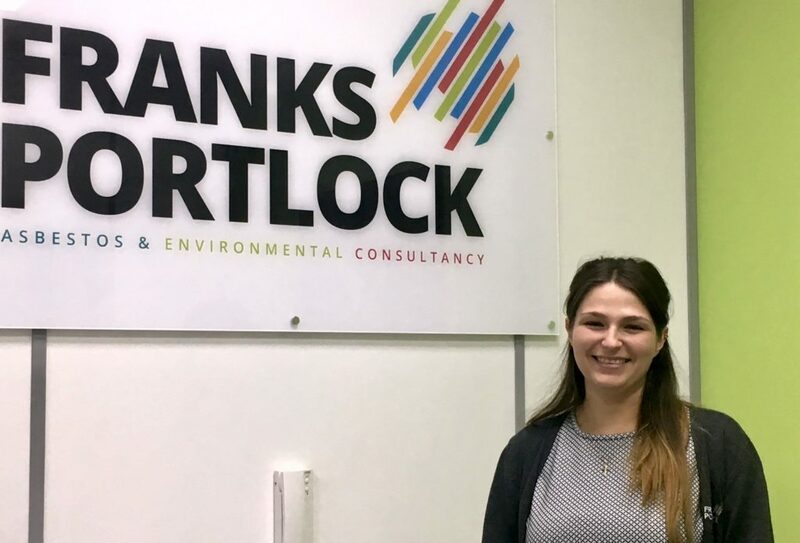 We’re delighted to welcome two new members to the Franks Portlock team. Lawrence Clack has been appointed as commercial manager and Alex Edminson has taken up the newly created role of HR administrator. Lawrence has over 13 years’ experience in the asbestos industry and will be responsible for developing strategies and plans to drive the firm’s growth. He will also work with colleagues from across the business to identify and target new business leads, manage the company’s tendering process and enhance service delivery. Alex, from Sunderland, is experienced in a wide range of HR disciplines such as recruitment, performance management, employee relations and HR administration processes. She also holds a first-class BA (Hons) in Business Management. As HR administrator, Alex will oversee everything from introducing new policies and managing new starter inductions to handling fleet, appraisal, and personal record administration processes. Phil Franks, director at Franks Portlock, said: “Both Lawrence and Alex are great additions to our team. “Lawrence will play an influential role in shaping the company’s growth plan, and liaising with both current and prospective clients to ensure we continue to deliver a trusted and high-quality service. Alex will play a key role in ensuring our internal process and HR systems run efficiently as well as supporting our recruitment and workforce development initiatives.